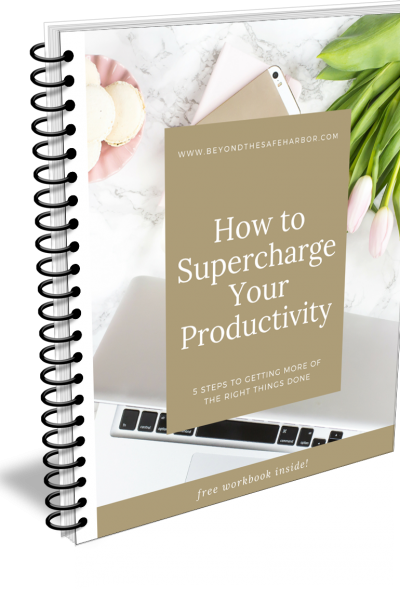 Grab your FREE Productivity Guide today! In addition to running Kate Lauren Design, I also have a lifestyle blog, Beyond the Safe Harbor where I write about everything from pursuing your passion to mastering your finances and growing as a person. One of my favourite topics is productivity, and I've created a FREE guide to help you crush your goals. Step-by-step guide to getting more of the right things done. Workbook style format with space to record your goals, to-dos, notes, and reflections. Tips on how to maintain your productivity moving forward. Yes, sign me up for the Beyond the Safe Harbor email newsletter. You will receive my latest updates, tips, and solutions for living your best life.